Two years ago Nokia sold 30% of its smartphones in Western Europe. Today it sells 15% in that market. Its unit shipments went from 5 million to about half that and its market share went from 55% to 11%. Its rank in the market went from first to fifth. The fall is exceptional and dramatic. 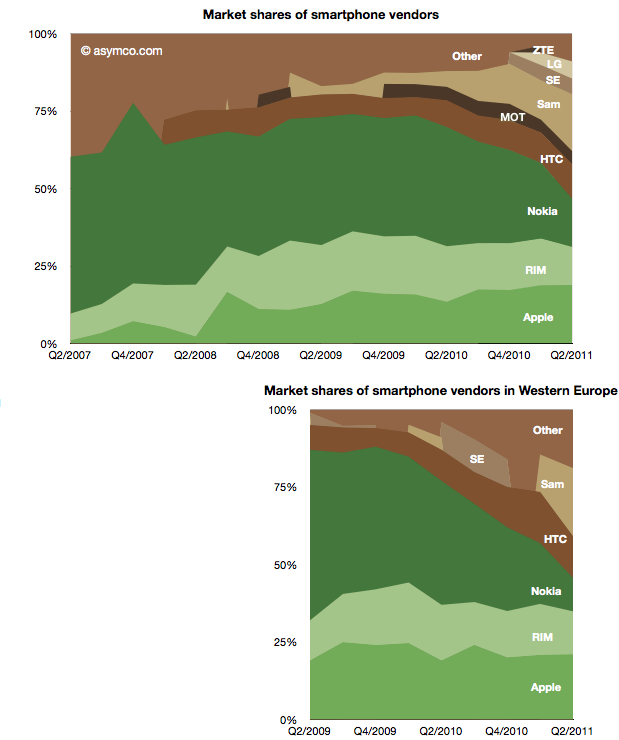 The two charts below show smartphone market shares. The top chart shows global share and the second shows Western European smartphone shares (European share data sourced from IDC). The other perspective is shown the the following chart which shows actual units shipped. One striking thing is how volumes collapsed into Q1 and Q2 this year, coinciding with the public decision in February to deprecate Symbian. The other interpretation I would make is that within the two year time frame Nokia’s share has been completely absorbed by Android, not Apple. 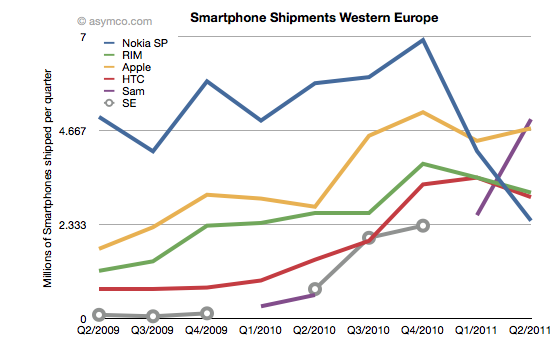 Whereas most commentary shows Nokia suffering at the mercy of Apple, it’s Android that took share in Europe. Can a Windows Phone portfolio turn Nokia’s fortunes around? The first problem is that such a portfolio will not be available until next year. The second problem is that the competition will not be standing still. 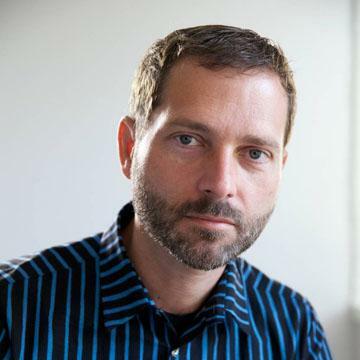 The third problem is that the market itself may not be growing as fast as expected. It’s becoming increasingly difficult to see how Nokia can weather this turbulence and odds are against it.